Google has revealed two smartphones to its family of devices – the Nexus 5X and Nexus 6P. 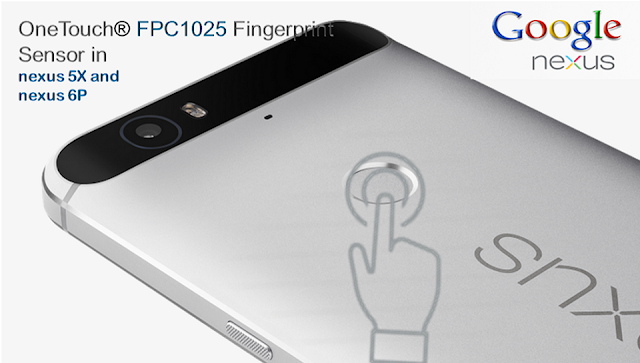 With One Touch Fingerprint Sensor FPC1025 . The Nexus 5X and 6P will be the first phones to running the latest Android 6.0 Marshmallow operating system.In addition to Android 6.0 and its integrated support for fingerprint sensors Nexus 5X and Nexus 6P includes Android Pay, a secure payment service utilizing the fingerprint sensor for secure and convenient mobile payments. Read more information, please visit at; Ashtopus Tech.